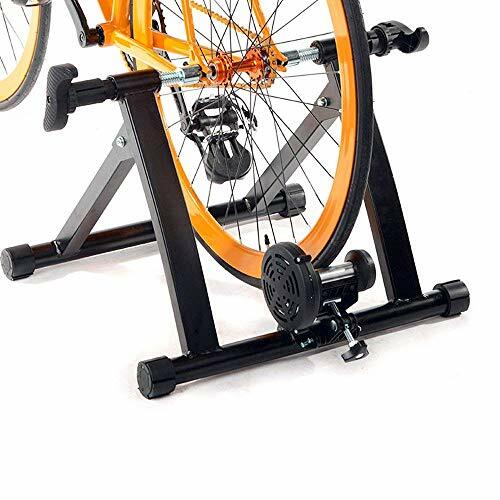 Do you want enjoy bicycle training regardless of the bad weather outdoors？Our magnetic bike trainer is perfect for you.With this cycle trainer,You can do exercise at home on your bike regardless of bad weather. And watch TV or stream a movie, enjoy your music while riding. Dimension:overall size:21.7" x 18.1" x 15.7"
Folded size:21.7" x 5 "x 18.9"